Whilst the demand for steel is faltering globally, India’s producers are feeling quite the opposite. As the countries ambitious government announce their blockbuster plans for national developments in infrastructure, the nations steel manufacturers are reaping the rewards. The government has pledged to spend $44 billion this year alone, on investments in railroads, highways and shipping ports. India are currently the world’s third largest producer of steel after recently overtaking the United States, their output levels are lower than that of Japan and China, whom are 2nd and 1st respectively. Steel Authority of India, Tata Steel and JSW Steel have all stated they expected record output levels in 2016 and are looking to increase their capacity over the next decade by as much as 3 times! All of this optimism has no doubt been fuelled by the revelations of the Indian Prime Minister, Narendra Modi. However, it should be said that increasing your expected levels of output is not without risk. Currently, steel output is exceeding demand and therefore, causing the price of steel to drop significantly and requiring government intervention, in the form supporting fallen prices and limiting the imports of cheap steel. India, like much of the world has felt the effects of cheap steel imports, primarily from China but also Japan and South Korea. 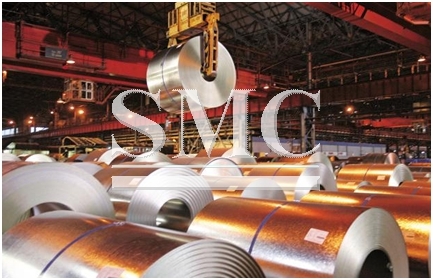 Nevertheless, in spite of the negatives that have surrounded the steel industry in India with regards to results, investors are optimistic and are throwing cash at the companies, shares in all the previously stated steel companies have surged in recent months. So far, demand growth is falling short of the industry’s expectation of 5 percent to 6 percent in the fiscal year ending in March 2017. In the five months through August, consumption grew 1.3 percent from a year earlier to 33.7 million tons, steel ministry data show. Over the same period, production jumped 7.9 percent to 40.5 million tons, which helped boost inventories by 10 percent even as imports plunged by more than a third, the ministry said. It’s a big risk the Indian steel companies are taking but the chances of it paying off do look promising.